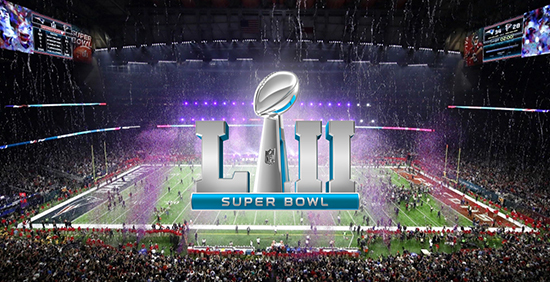 Super Bowl LII will be the 52nd Super Bowl and the 48th modern-era National Football League (NFL) championship game. The National Football Conference (NFC) champion Philadelphia Eagles will play the American Football Conference (AFC) champion New England Patriots to decide the league champion for the 2017 NFL season. The game is scheduled to be held on February 4, 2018, at U.S. Bank Stadium in Minneapolis, Minnesota. It will be the second Super Bowl in Minneapolis, which previously hosted Super Bowl XXVI in 1992. It will be the sixth Super Bowl in a cold-weather city, and Minneapolis will continue to be the northernmost city to host a Super Bowl. Watch the compilation video of the Super Bowl LII Commercials.